Late last week Iona received news that Lamont "MoMo" Jones, instrumental in helping Arizona to the Elite Eight last season, has been granted a hardship waiver and can play immediately, instead of sitting in residence under NCAA rules. The MAAC regular-season conference race and postseason automatic qualifier berth just got more interesting and competitive with Jones joining the Gaels. The truth is this league was already locked in to having one of the best races, outside of the power six, with or without Jones. But now that he's eligible, the stakes are even higher with Fairfield and Iona preparing for what should be a chase to the finish. At the MAAC level, it will rival anything the Horizon or Missouri Valley has to offer this season. 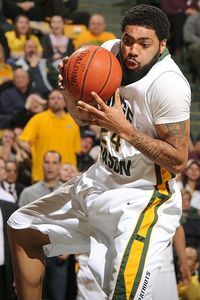 Gary A. Vasquez/US Presswire Adding MoMo Jones to Iona's lineup makes the Gaels better. But will it be good enough to get past Fairfield in the MAAC? Loyola (Md.) and Rider, both with many returnees, are seen as the potential St. Peter's in this league -- a team that could surprise the favorites and win the automatic berth with three strong days in Springfield, Mass. (site of this season's MAAC tournament). MoMo Jones joins an Iona team that is led by returnees Scott Machado on the wing and Glover inside. Boston College transfer Rakim Sanders is eligible to join the Stags, last season's regular-season MAAC champs, alongside returnees Derek Needham and center Ryan Olander. Sanders was a tough matchup for ACC teams that played the Eagles. But his last season with BC started poorly with an ankle injury, and neither he nor the team recovered, as he couldn't fit back into the lineup with Reggie Jackson. Sanders found a new home with Cooley, a former BC assistant with strong ties to Sanders and Eagles coach Al Skinner. Cooley is gone, but new coach Sydney Johnson, formerly of Princeton, has been pleasantly surprised by Sanders so far. Johnson said Wade is much more of a natural point, but he can play off the ball like Needham. He said he plans to alternate who handles the ball. That question is an ongoing issue at Iona now that MoMo Jones is eligible. Machado handled it last season. And Jones did the same for Arizona. Cooley said taking the ball out of Machado's hands could hurt the chemistry, unless this team jells quickly together. Iona coach Tim Cluess hadn't addressed this topic, because he didn't know Jones' fate for this season. Jones got the waiver because he transferred back to New York, his hometown, to be closer to his ailing grandmother. Finding consistency next to Glover inside is also a question for the next few weeks. The expectation was that junior forward Taaj Ridley could be that person, but he has been hampered by foot and Achilles issues. Iona and Fairfield have the mix of high-level transfers and four-year players who have blossomed into high-level college players. Each team could win a NCAA tournament game or two in the right scenario. But getting an at-large berth will be determined in the next two months. The schedules for each favor getting recognized by the selection committee in March. Iona is in the wide-open Puerto Rico Tip-Off with an opener against Purdue on Nov. 17 and the possibility of playing Temple if the Gaels can knock off the Boilermakers. Playing at Marshall, a C-USA top-two team and going on the road in a winnable matchup at Richmond highlight the schedule. It doesn't hurt for power-rating points that Iona plays 11 road games before January. Fairfield plays at Minnesota, a sleeper in the Big Ten, and has a legit shot to win the weakened Old Spice Classic in Orlando, Fla. Beating Old Dominion in December in Springfield will help, too. Drawing top-five UConn in Hartford, Conn., and visiting Drexel in late December will also assist the power rating. The fallout from Florida and Fairfield canceling their game because of Tuesday's Northeast snowstorm will be felt long after the season ends for one team. Florida won't feel any effects from it. The Gators will return the money from purchased tickets and continue as if nothing happened. But the sting will last for Fairfield. The Stags were due a guaranteed sum of $75,000 to $80,000 for playing the game, a standard fee for teams that play a road game against a power-six school without a return. Florida has confirmed that because the game wasn't played, it isn't responsible for paying Fairfield. The money that Fairfield was due would have been used in a variety of ways, including helping pay for coach Ed Cooley's salary and for the recruiting budget. The Stags played one other guaranteed game this season (at Penn State), but the exposure wasn't the same. Fairfield was also due to be on ESPNU on Tuesday night against the Gators, but instead lost a rare nationally televised appearance. As the MAAC favorites, the Stags still have two other nationally televised games on ESPNU -- at Loyola (Md.) on Jan. 14 and against Iona on Feb. 4. The Gators already lost a home to Jacksonville on Dec. 20, so a chance at a potential upset is now gone, as is the possible power-rating points for playing the SEC East preseason favorites. And then there is the financial hit. Cooley said both coaching staffs, especially Florida coach Billy Donovan and assistant Larry Shyatt, did everything they could to help the Stags reach Gainesville in time to play the game. Cooley said the original plan was for Fairfield to fly to Orlando on a direct flight Monday at 11:10 a.m. from White Plains, N.Y. But that flight was canceled Sunday night during the snow storm. Cooley said the Stags then tried to get out on a charter flight but couldn't get charter service to pick them up. Cooley said the Stags looked into a number of possibilities, one of which included Cooley, one assistant, a trainer and nine players making the trip. The Gators and Stags were looking into alternative dates, but they couldn't play this week. Florida plays at Xavier on Friday, while Fairfield hosts Army. The schools looked at open dates later in January and then into February but couldn't agree on a slot that wasn't an issue for their respective conferences. Fairfield likely has to win the MAAC tournament to get an NCAA tournament bid, but not having the game against Florida will hurt the Stags' overall RPI for seeding in March. • New Mexico coach Steve Alford said Wednesday that Emmanuel Negedu won't play for the foreseeable future after his defibrillator went off at halftime against The Citadel on Dec. 19. Negedu collapsed while at Tennessee in September 2009. He didn't lose consciousness but the "bad read" of his defibrillator meant he had to be held out of competition while undergoing more tests. Negedu was in Las Vegas last week for New Mexico's games against Colorado and Northern Iowa. He said at the time that he was "under the weather" and was going to have some tests. Alford said that Negedu would go on the trip to Texas Tech (a 61-60 win Wednesday) and Dayton (Saturday). New Mexico cleared Negedu to play, but Indiana -- his first choice after Tennessee -- didn't clear him to play. Alford said everything had been fine with Negedu since he's been at New Mexico. When ESPN.com visited Albuquerque in October, Negedu said he had no issues throughout the summer and early fall. But this latest red flag may mean he won't play again. NEW YORK -- Greg Monroe was the perfect candidate to leave school early for the NBA draft. He was a big man with exceptional passing reads who had lived up to his high school hype. 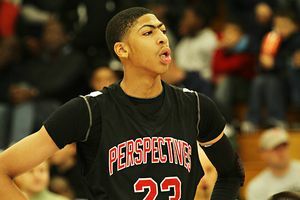 He was the Big East Rookie of the Year after averaging a dozen points and nearly seven boards a game. He had NBA personnel tantalized by his skill set. And he led Georgetown -- to the NIT. You can't blame Monroe for the Hoyas' sudden free fall in the middle of their Big East schedule that saw them drop seven of their nine games in January. (Six of the seven were league losses; the other was at Duke.) Monroe was hardly alone, as inexperience reigned over the Hoyas at the worst time. "I don't know how to explain it," Monroe said of the downward spiral in which the Hoyas went from 11-1 to 13-8 en route to a pedestrian 16-15 finish (7-11 Big East). "We didn't make plays down the stretch when we needed them: a stop, a rebound or execute our offense. We couldn't find a way to do it. There's a big difference this year since we understand what has to be done. We will win more games this year." A year ago, Georgetown cruised into the Old Spice Classic in Orlando and torched rival Maryland by 27 points. The Hoyas then beat Memphis at home by nine in overtime. And then, the kicker, Georgetown opened Big East play in late December with a stunning 11-point win at co-league favorite UConn. All three of those victims went to the NCAA tournament, with UConn a No. 1 seed. "I thought we had a chance to be special in this league after that game," Monroe said as he recalled the UConn game while at last week's Big East media day in New York. "We had a tough game after that [a 16-point home loss to Pitt]. But it was a special conference last year. This year there is more balance. The league lost a lot of stars. We have a better focus and we know what it takes to win more games." Monroe could have bolted. He could have run for the easy money as Georgetown floundered for the first time under John Thompson III with a 12th-place finish in the Big East after winning the league in consecutive years with a Final Four berth two seasons ago. But the Hoyas' win-loss record had nothing to do with Monroe's decision. "I just had to evaluate myself, and I knew I wasn't ready to make that step," said Monroe, whom an NBA team likely would have selected in the top 10 despite his assessment. Monroe said his skills weren't polished enough. He wasn't physical enough. "Of course I want to play in the tournament," Monroe said. "But I can't make a mistake leaving too early." Somehow Thompson wasn't surprised by the refreshing and true analysis. "He can look in the mirror and be honest with himself," Thompson said. "He likes the collegiate experience. He likes being at Georgetown. There are a lot of kids out there that look for the first opportunity to go. Sometimes it's right, and sometimes it's wrong. They want to jump and get to the league. But he can look in the mirror and be honest with himself that he has to be stronger and improve his offense. There's no rush for him to make that jump." Now, don't be surprised if he does it after his sophomore season. The 6-foot-11 Monroe should be in contention with Notre Dame's Luke Harangody for Big East Player of the Year if he can live up to his expectations. The Hoyas should be a better fit for making a run at a top-three finish with the experienced junior backcourt of Austin Freeman and Chris Wright, role-playing wings Jason Clark and Nikita Mescheriakov and a deeper frontcourt. Losing DaJuan Summers (13.6 points per game) early to the NBA draft and senior guard Jessie Sapp (6.5 PPG) is a hit. You can spin their departures all you want, but Summers was still a talent and a potential mismatch. Sapp added a solid, experienced guard. But there was clearly something amiss with last year's group that didn't always mesh. The spring training-like buzz about this group is that it is in a better space. "The hunger is different," Thompson said. "The energy is different. It's not an excuse, but we did have six players in our rotation last year that were going through it for the first time. That's a reality. It was a bad year to be inexperienced in this conference." Thompson is banking on the natural growth process of a college team. Through the first two weeks of practice, he is seeing that this squad is no longer running scared at times. The confidence Thompson gleaned during the offseason was evident by his taking on a more challenging schedule in December. Thompson didn't hesitate to schedule top-15 team Butler in the Jimmy V Classic in New York on Dec. 8 and then fly out to Anaheim to play one of the Pac-10 favorites in Washington at the Wooden Classic. Thompson has said it's a Big East-like week. It is, with more travel. He likely wouldn't do that stretch if he weren't confident this team could make a run within the conference. Playing the Colonial League's top team in Old Dominion again at home -- a team that has given the Hoyas fits recently -- will be a tough follow-up to that Butler-Washington stretch when the Hoyas return to Washington, D.C., to face the Monarchs on Dec. 19. "We have the pieces," Monroe said. "We lost two great players in Jessie Sapp and DaJuan Summers, but with me, [junior] Julian Vaughn emerging and the freshmen coming along well, we've got the pieces for us to be versatile." Thompson said the wide-eyed look of a young team is gone. This squad still doesn't have a senior. But it has a big man who could be one of the best in the country. If he is, the Hoyas should be a factor throughout the season, not just in spots in November and December. • The MAAC predictions had Siena projected to win the league yet again. The Saints have a real shot to win a third straight first-round NCAA tournament game. The Saints won 27 games last season and return key players Ronald Moore and Edwin Ubiles. As has been the case recently, Niagara was picked second. Rider, with preseason player of the year Ryan Thompson, was third followed by Fairfield, Loyola, Saint Peter's, Canisius, Manhattan, Iona and Marist. There was a time earlier this decade when the latter three teams were at the top of this conference. That shows how difficult it is to maintain success at this level when there are coaching changes. The continued excellence in the MAAC at Siena and Niagara can be attributed to the decisions of the coaches and schools to keep Fran McCaffery and Joe Mihalich, respectively. The long-term commitment by both coaches is a direct result in their programs' maintaining a place atop the league.